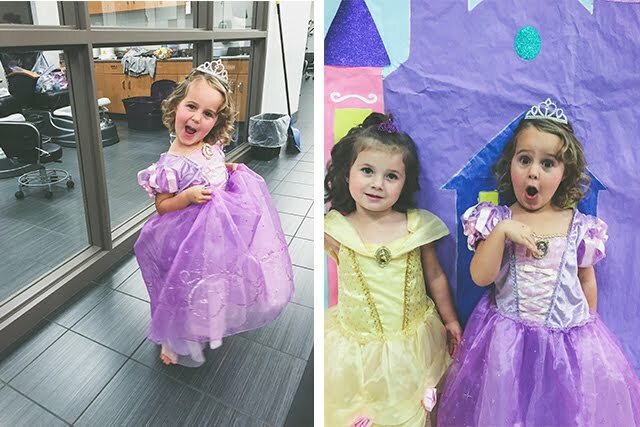 A couple weeks ago we took Sadee and her friend to a princess party. It was at a hair school where little girls could come to have their hair done, nails painted, make up put on and a little treat. 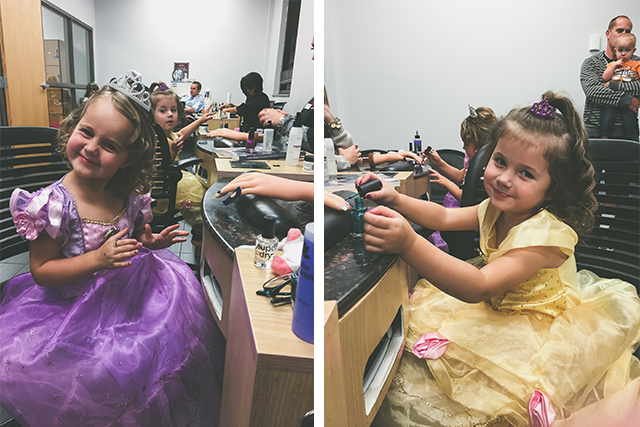 They both had such a fun time being pampered and the best part? 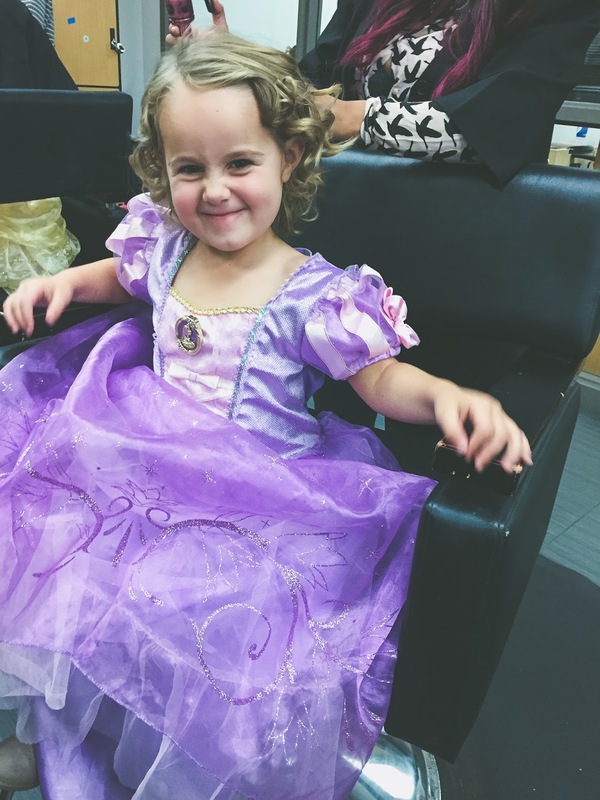 The hair stylist had glitter hair spray! It was magical, even for me! I mean, glitter hair spray?! Awesome. It took a few days to wash out, but totally worth it. Afterwards we went to Yogurtland for some yogurt. Why is it that yogurt bars are sort of genius? My kids love getting to choose their toppings and eat their creations. 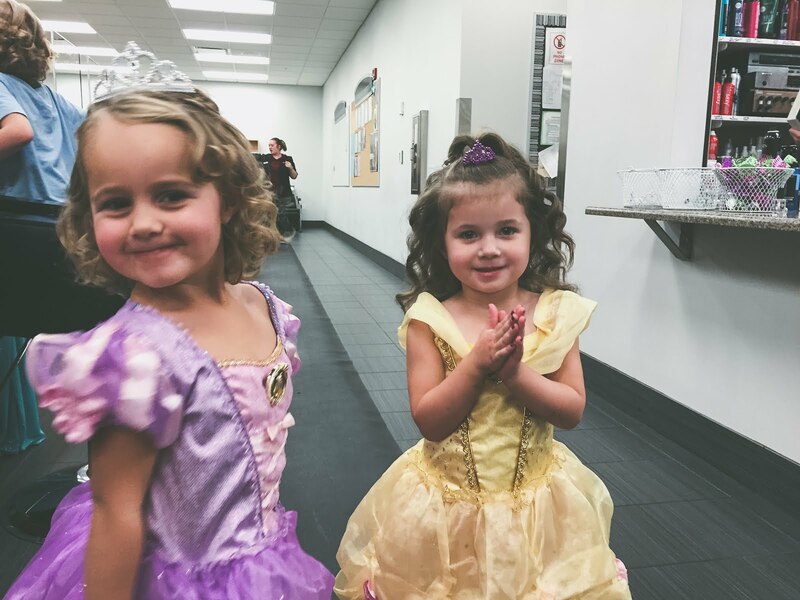 Here's to the cutest two princesses I know! And also, the best comedians (as you can see).